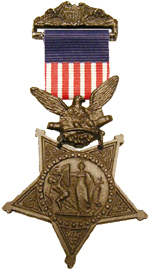 Army Medal of Honor, 1862. 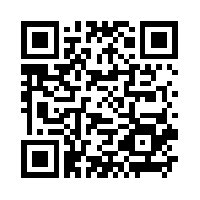 From US Army Institute of Heraldry. Last week, President Bush awarded the Medal of Honor posthumously to Woodrow W. “Woody” Keeble 26 years after his death. Keeble becomes the first full-blooded Sioux Indian to earn the award. Keeble’s case is interesting and illustrates how several veterans have been denied awards for year or forever because of paperwork, or other issues. It is even more interesting when one considers the number of Civil War recipients of the Medal of Honor, who probably did not deserve them. 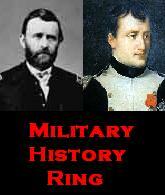 The Medal of Honor was created in 1862 for the Army to recognize soldiers who distinguished themselves in action. One of the more famous Civil War recipients of the MOH was Joshua L. Chamberlain, who earned it because of his famous bayonet charge down Little Round Top (“BAYONETS!”). Another was William H. Carney, who rescued the American flag when the color sergeant was struck down, while a soldier with the 54th Massachusetts Infantry. Carney was the first African American to earn the medal. Unfortunately, there were some cases where the medal was awarded to persons who did not necessarily deserve the medal. For instance, Medals of Honor were awarded to the entire 27th Maine Infantry Regiment just for re-enlisting (all 864 men). In addition, medals were awarded to the men who served as Lincoln’s funeral guard, as well as civilians. Eventually, this wrong was corrected when an Army review board, led by Nelson Miles, met in 1916 to review all Army Medal of Honor cases. The board ultimately rescinded the medals awarded to the 27th Maine and the Lincoln funeral guards, as well as Dr. Mary Edwards Walker, the only woman to receive it (her award was reinstated by Jimmy Carter). One important thing regarding the Civil War Medal of Honor, do not confuse it with the member badge of the Grand Army of the Republic (GAR) seen below. Grand Army of the Republic Membership badge. Note the differences between this badge and the Civil War Medal of Honor. The Medal of Honor has always been a significant award, but the importance of the award was somewhat reduced by the situation created by the Civil War. It was the only medal authorized by the Army at the time and the government seemed intent on awarding more than it should have been. 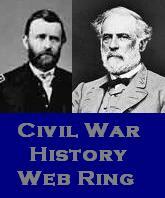 There were over 1,500 Medals of Honor awarded relating to actions in the Civil War. Since then, the importance of the medal has risen, as the criteria for earning it are much more stringent, as less than 25 percent of the total medals awarded were given to servicemen since the beginning of World War II. I have met one gentleman who earned the Medal of Honor in World War II and he passed the medal around my class (I was in 8th grade) and we all had a chance to hold it, and it is something that I will never forget. 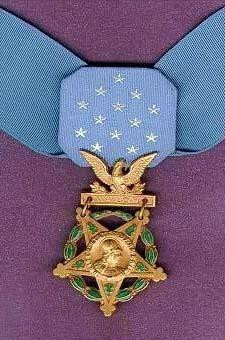 Medal of Honor recipients are to be honored, as there are fewer than 120 persons alive that earned the award, and many have died as a result of the actions that earned them the medal.